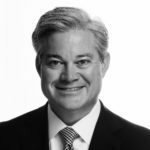 Mark joined TTR Sotheby's International Realty in January, 2011 as Managing Partner, building further on a distinguished career as a widely recognized leader in the Washington real estate community. Prior to joining the firm, Mark served as Executive Vice President at WEST*GROUP, one of the region's leading commercial real estate development firms. Mark is focused on corporate management, strategic planning, business development, and the cultivation of enhanced resources to continue to expand the unique global relationships, expertise and services which TTR Sotheby's International Realty offers to its clients. Mark is also committed to insuring that the firm, its partners and associates are fully engaged in the Washington communities in which the firm is active. Mark serves in prominent leadership roles in a number of corporate, educational and non-profit organizations in the Washington Metropolitan Area. In 2015, Mark was appointed to the Board of Directors of MRIS, Inc. where he is a member of the Finance Committee. Mark also serves as a Commissioner of the Fairfax County Economic Development Authority after being appointed by the Fairfax County Board of Supervisors in 2010. Mark was appointed by Governor Tim Kaine to serve as a member of the Board of Visitors of George Mason University where he chaired the Real Estate Committee from 2010-2011. Mark is also a long-standing supporter of a number of regional charitable organizations; he serves as a member of the Board of Trustees for The Potomac School in McLean, Virginia where he chairs the Building and Grounds Committee, and he is member of the Board of Trustees of The Wolf Trap Foundation. Mark is also a member of the Board of Trustees of The Hillwood Estate Museum and Gardens. Since 2011, Mark has served as Chairman of of the Board of INOVA's Life with Cancer Program. Mark is serving as Co-Chairman of the Hillwood Gala in June, 2016 and the CharityWorks Dream Ball in October, 2016. Mark is a native of Wyoming and prior to joining WEST*GROUP, he worked in the Corporate Finance Department of Kidder, Peabody & Company in New York. He earned his undergraduate degree in Economics from Stanford University and a Masters in Business Administration from the Stanford Graduate School of Business. What defines a luxury home in Washington DC? Working with luxury homebuyers for over 30 years as both a developer and current CEO of a luxury brokerage, I have found there are a few subtle but important distinctions to understand when addressing the needs of those living around the nation’s capital. The luxury real estate market has seen healthy levels of buyer activity over the past few years in the Washington, D.C., region. In fact, this segment of the market never witnessed the same deep plummets that we saw with lower priced homes.